HTC used to roll out flagship phones on a seemingly monthly basis, but so far we haven’t seen a major follow-up to the six-month-old HTC One. The HTC One Mini and HTC One Max have offered different-sized variants, but details of HTC’s next flagship have so far managed to remain under wraps. That might start changing, as Android Community spotted two new photos on China’s VR-Zone site, claiming to be of HTC’s next big phone, the M8. While the HTC M8 doesn’t have quite the same ring to it as the HTC One, that name is likely to change before the phone hits the market – the HTC One started out with the codename M7, after all. And these certainly aren’t the best pictures, but there are enough visible details here to make things interesting. First off is that the case appears to be a unibody piece of metal, which is quite different from the One’s case, which has a seamless aluminum design, but is fused together. 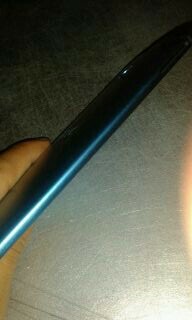 Also apparent is an additional hole at the top of the phone, just above the rear camera. Perhaps this is for a fingerprint sensor, a la the One Max? 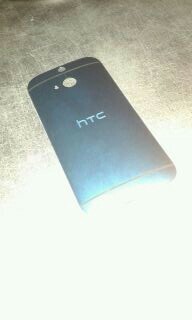 Finally, the case appears to be blue, which would be a new look after the silver HTC One. Then again, it might also just be bad lighting. So while there aren’t a ton of clues here to suggest what to expect from HTC’s next major flagship, I wouldn’t be surprised if they begin to trickle out.